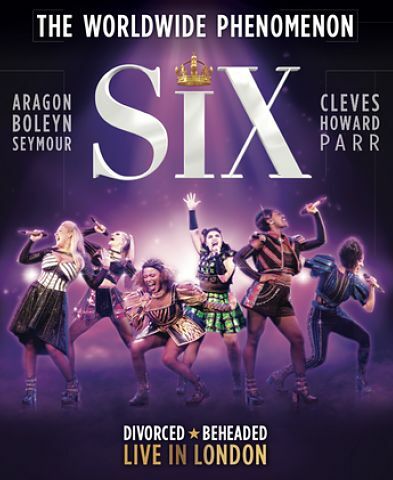 Toby Marlow and Lucy Moss' high-octane pop concert musical smash-hit show SIX about the six wives of Henry VIII has returned to the Arts Theatre in London. Six is co-directed by Moss and Jamie Armitage, with choreography by Carrie-Anne Ingrouille, set design by Emma Bailey, costume design by Gabriella Slade, lighting design by Tim Deiling, sound design by Paul Gatehouse, musical supervision by Joe Beighton and orchestrations by Tom Curran. The original cast remain for the London run: Jarneia Richard-Noel/Catherine of Aragon, Millie O'Connell/Anne Boleyn,Natalie Paris/ Jane Seymour, Alexia McIntosh/Anna of Cleves, Aimie Atkinson/Katherine Howard, Maiya Quansah-Breed/Catherine Parr, Grace Mouat/Swing / Dance Captain, The Band/Ladies In Waiting. From January the cast will be joined by two additional alternates: Vicki Manser/alternate Anne Boleyn & Anna of Cleves (Bat Out of Hell (West End) and Beautiful: The Carole King Musical (2nd Cover Carole - West End) and Courtney Stapleton/alternate Catherine of Aragon & Catherine Parr (Bat Out of Hell (Dance Captain - West End), Les Misérables (Cover Eponine - West End) and Mamma Mia! (Cover Ali - West End).